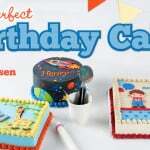 The Perfect Birthday Cake By Corrie Rasmussen only $14.99!! It’s been quite awhile since I wrote a Craftsy review but I’m super excited about reviewing The Perfect Birthday Cake By Corrie Rasmussen for you today! On top of that – you can get the class at a fantastic discount of 57% off through this link. Ya’ll… that makes it only $14.99!! HaPpY DaNcE!! 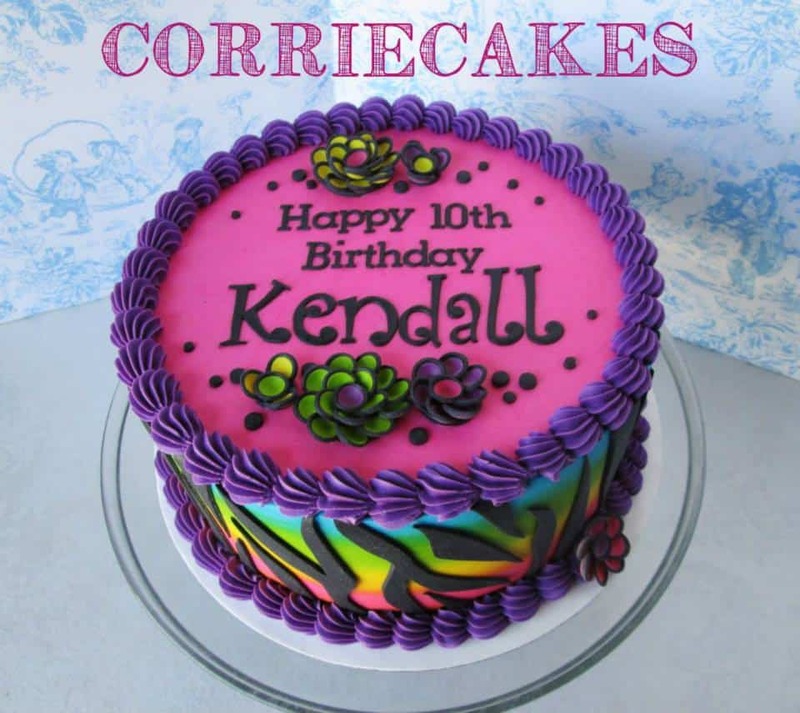 At is stated in the title, Corrie’s cakes are, in fact, pretty darn perfect, so forgive me if I overuse that word a little today, okay? okay! Perfect, perfect, perfect. Just sayin’! Not enough info for you? Let me tell you more about Corrie and this class! I’ve been a big fan of Corrie for quite a few years now (see where I tried to imitate one of her cakes here a couple of years ago … and I didn’t come close!) and honestly I was not surprised at all when she announced that she’d be doing a Craftsy class. I’m sure everybody in the cake world was equally excited… we’ve all been dying to know her secrets and tricks!! If you don’t know Corrie’s work (where have you been living, by the way?? ), she totally dominates sheet cakes! She brings them to life like nobody’s business and her attention to detail and perfect piping brings gasps and ooohs and aaahs to everybody who sees them! On top of that, she’s a really kind and helpful person too! I briefly met her at Cake Fest back in February and we’ve chatted online a few times. She actually gave me some of the very best advice I’ve received to date regarding how to handle being booked months in advance (when I was having such a hard time a few months ago!). Okay – so enough gushing! Let me tell you about her fantastic class! Create easy birthday cakes for kids that are sure to become the talk of the party — and the town! 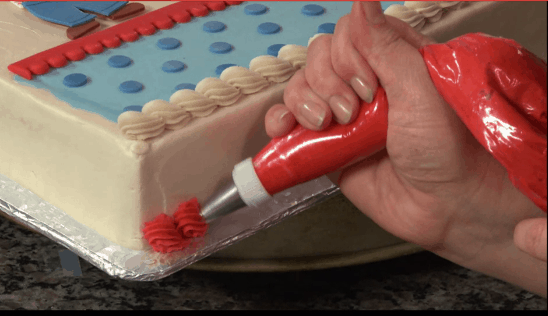 Join cake decorator Corrie Rasmussen and use basic tools and techniques to create birthday cakes with a big-time wow factor. Start class by learning to mix beautiful buttercream colors and frost your cakes for a super-smooth finish. 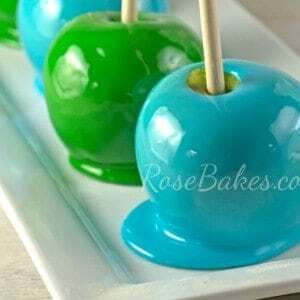 You’ll also get tips for dreaming up cute cake ideas and laying them out for the biggest visual impact. 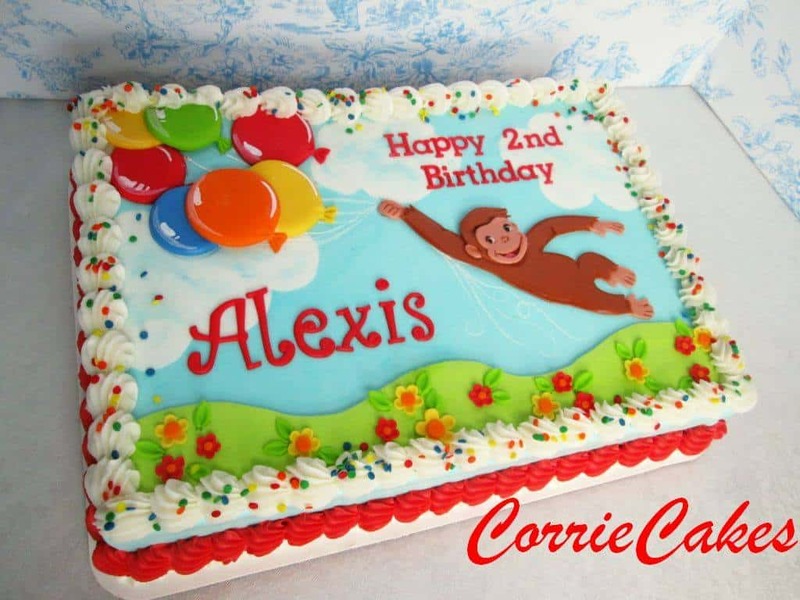 Then, bring your designs to life using customizable templates, perfectly spaced lettering and fun fondant layering techniques. Whether you’re recreating a favorite animal, a rocket ship or making a decoration that looks just like the birthday boy or girl — fondant layering makes it a breeze! Plus, find out how to finish your cakes with eye-catching backgrounds and classic piped borders. Did you get all that? This class includes 7 packed-full lessons and over 3 hours of instruction!! Okay – now that you’ve heard the official info, let me tell you what I loved about this class personally! In lessons 1 and 2, you will learn some amazing techniques to make fantastically smooth buttercream and how to get it to look flawless on a cake! I haven’t had a chance to use all of the techniques yet (because I don’t do a lot of all buttercream cakes), but my friend Susan said she’s already used and fallen in love with some of them! I can’t remember which lesson, but I also loved her tips for not over-using dark colors on a cake and how to make a cake look airbrushed without actually having to airbrush anything 😉 I’ll give you a hint… it’s sorta-kinda like what I did on this candy corn cake. Okay, it’s not really like that, but it did remind me of it a little tiny bit. Haha! Moving on. 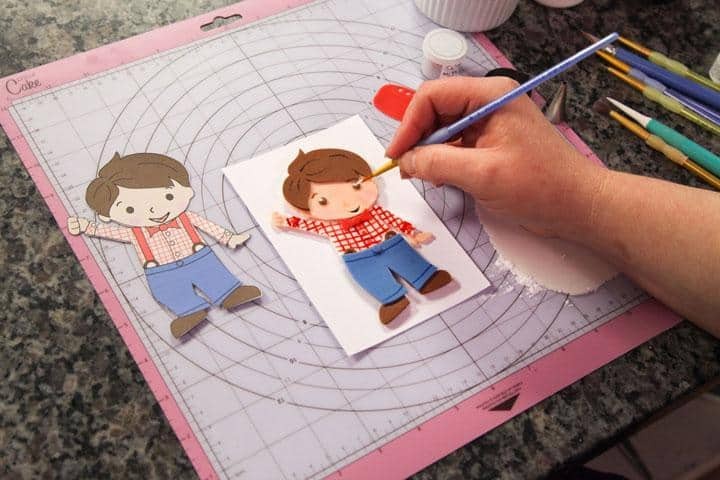 She also shares a fantastic tip for cutting out all those shapes and layers with an Xacto knife… it’s hard to do curves but she helps out with that little snafu! It’s something I’ll absolutely be doing in the future! And then in the last lesson, lesson 7, you will see Corrie pipe borders and see the technique she uses to get them to look so well.. perfect. Every.single.time. PS. don’t skip the lessons in between – these are just things that stuck with me! Sooo… are you convinced? I really think you should hop on over to Craftsy and sign up now! I’d recommend this class for just about anyone! Want some more good news? 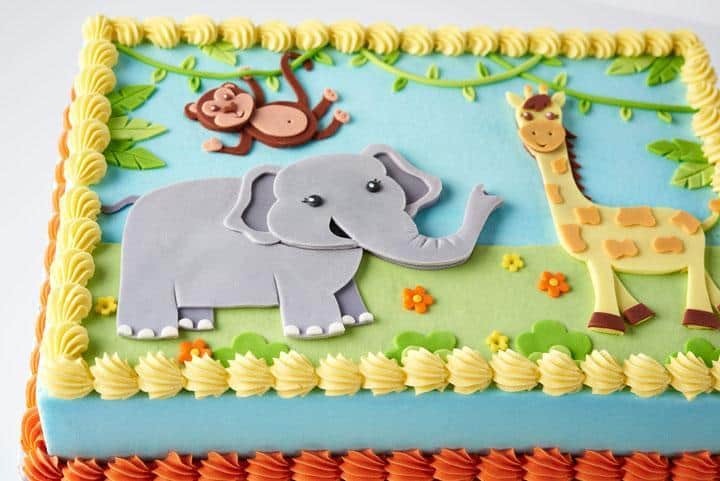 If you’re ready to take this class, hurry and grab it now… Craftsy has offered me a special link where you can get The Perfect Birthday Cake for a WHOPPING 57% off… only $14.99!! YIPPEE!!! This offer expires on June 3 at 11:59pm MT so hurry – don’t miss it! !